As we all know, money doesn’t grow on trees — and this truth is no different for newlyweds. It may be an unromantic aspect to a new marriage, but both parties will eventually have to discuss and manage their financial situation. Financial stability is key to a successful marriage and it must be handled with thoroughness, care, and consideration. Many couples shy away from discussing money matters which can land them in deep trouble. Discussing everything related to money, from joint accounts to bank fees to division of income, will ensure stability and trust in this part of the relationship. Here are a few essential tips that will help you and your new spouse get on the right financial track. This may seem to many like a no-brainer, but discussing how finances will be divided and pooled can become an awkward and stressful conversation. If there’s an income disparity between parties, make sure to discuss how finances will be divided in order not to leave one partner with less or more. This does not mean you should not keep a little for your own, but discuss how much should be shared in a joint account while also managing your own account and budget to maintain your financial independence. This is an essential must-do for any new marriage. Create a financial plan that includes an exhaustive list of expenses, monthly limits, credit card payments, retirement funds, and savings. Review your joint accounts if necessary and take care of special occasions. Every household goes through bouts unexpected expenses, but with an airtight budget plan, you and your partner can avoid less financial (and personal) stress. “Always see your bank for help and information. Experts will always be happy to advice you on what is best, all you need to do is arrange a consultation.” States finance expert Nicole Edwards from HSBC. After an expensive wedding and honeymoon, you may be looking at your credit cards with shock and stress. Trying to stay as debt-free as possible is the best way to ensure security for you and your family. Experts say that living debt free for at least three years will bring out the best of your marriage. 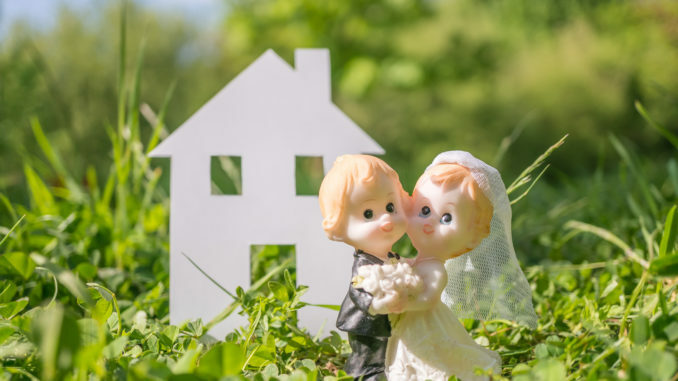 And in the early years of your marriage when you may not have kids, a home, and generally less financial responsibilities, get those debt payments down as soon as possible because they rack up in the later years and add unnecessary stress to your relationship. When you’re living together as a married couple, it’s important that you are both saving for each other’s future. If only one of you is doing this, it may cause instability in the marriage. Create an emergency fund that you can draw money out of if you really need it. If you and your partner have large income disparities, decide whether you want to save a flat amount each month or a percentage of each of your income. that someone remembers the details and responsibilities are clearly assigned. Try to go over this once a month and even swap the roles as well to see who performs better.